Keeping Kids Engaged With Humor & Magical Fun! 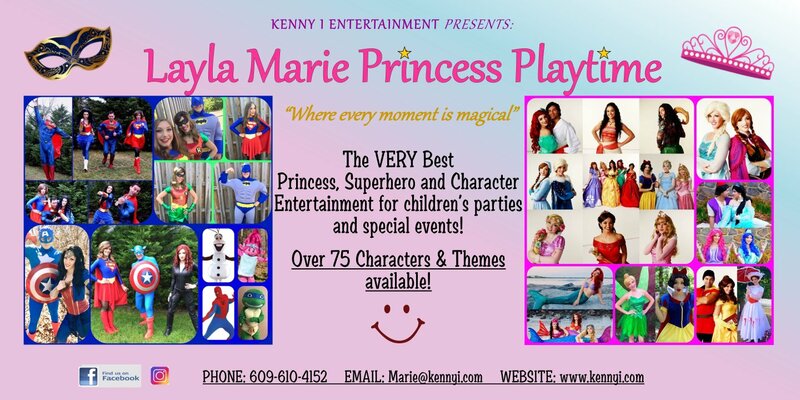 “Layla Marie Princess Playtime” offers over 85 Princesses, Superheroes, Mascots and more! Also face painters, balloon artists, magicians, and more special event entertainment! 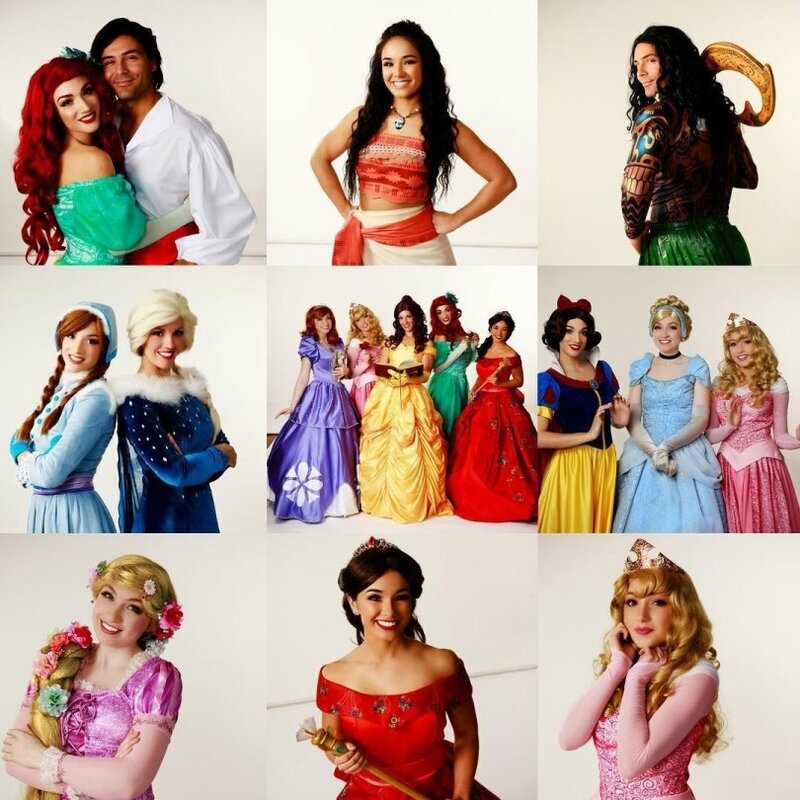 Book any of our amazingly talented and beautiful Princesses and Characters to join you at your next special party – feel free to contact us ANYTIME!!! We can email or text our package information to you immediately! We’re now scheduling parties through June 2019 and weekends are filling up quickly! We’d love to join you at your next party or event!!! If you are seeking friendly and original entertainment for children at your upcoming celebration, there are no better entertainers and professionals than ours at Kenny i Entertainment. With more than 30 years of experience in the industry, we have the skills to make sure your kids (and the adults) enjoy themselves. Contact us at (609) 927-3737 and obtain a free estimate today! PICTURE YOUR CHILD’S BIRTHDAY PARTY…… WITH ONE OR MORE OF OUR BEAUTIFUL PRINCESSES AND CHARACTERS! PICTURE YOUR CHILD…….HAVING THE TIME OF THEIR LIFE AT A PRINCESS BREAKFAST! The “Enchanted Princess Breakfast” is a magical event for all Princesses to meet and be entertained by the most beloved Princesses in the land! Come one and all and join our Princesses for a morning of a Royal Breakfast, fun, singing, dancing, games and more as they sweep you off your feet with their beautiful singing voices, princess gowns and most enjoyable games all children love and enjoy! And kids – wear your favorite Princess Dress or Hero costume and your dancing shoes for a morning of magical Princess Playtime! PICTURE YOURSELF…….HOSTING AN EVENT FOR YOUR SCHOOL OR ORGANIZATION! Call us today! We’d love to make your little prince or princess dreams come true!